My Writing Process – Blog Tour! Hello, reader friends! Welcome to this special Monday posting for the My Writing Process Blog Tour. You might have previously followed this tour with Norma Gail, New Mexico writer friend and author of the lovely new novel Land of My Dreams. Read her post for this tour here. Now, on to my part! I’m excited to give y’all a little peek into my writing process. 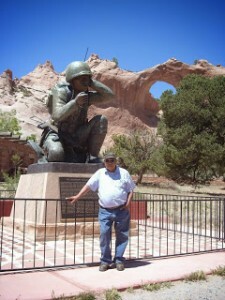 Right now I’m revising a manuscript of contemporary women’s fiction interwoven with the historical thread of a World War II Navajo Code Talker. It’s been a lot of fun to write, but my manuscripts always seem to need at least one major revision—not just adding or taking away a chapter here or there, but major plot point changes and deepening of the character arcs. I guess it’s all part of the process! So that’s what I’m in the midst of at present. I hope to get it to my wonderful agent, Wendy Lawton, in July. In both my historical and now contemporary fiction so far, I’ve included Navajo history, culture, and characters (sparked by living near the reservation in my teens, and more recently through relationships and learning the Lord has given through writing these stories). My stories emphasize Jesus bringing healing out of brokenness, often through reconciliation and intercultural relationships. I’ve always loved historical fiction—the Little House on the Prairie books sold me on all things “old fashioned” when I was about five years old. (Well, maybe not all things—I’m rather partial to modern plumbing.) 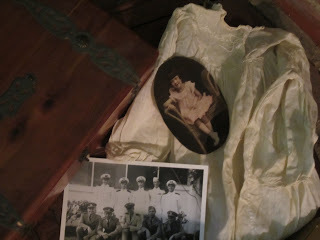 So now I love to write historical fiction as well, though much of my current work-in-progress is contemporary. And since Jesus is the center and Lord of my life, He weaves Himself through everything I do, including my writing. I love seeing His hand in the power of story, whether fiction or real-life, explicitly “Christian” or not. For more on why I write the particular themes I do, check out “Behind the Stories” and “When a Story Begins to Own You” on my website. I’m still figuring that out! Between the categories of “plotter” or “seat of the pantser,” I think I’m a “plotser.” I mostly need to plot out my stories ahead of time, but they do change along the way as the story emerges. I’ve found elements of Randy Ingermanson’s Snowflake method, especially the Three Disasters, very helpful in early plotting, as well as James Scott Bell’s Plot and Structure and Brandilyn Collins’s Getting Into Character. I find I have to keep going deeper and deeper with my character through the process of crafting a story, interviewing them (yes, I talk to pretend people—on paper, anyway) and trying to better delve into their motivations, goals, and insecurities to find what really drives them. Overall my writing process tends to work in layers—going deeper and deeper until I finally reach the heart of what each story is supposed to be. Well, that’s it for me. Thanks so much for stopping by and letting me share a peek into my writing process with you! Now next Monday, July 7, please visit fellow writer Rachel McMillan at her blog, A Fair Substitute for Heaven, and learn all about her writing process! Your writing process sounds very much like mine, Kiersti. I love it that we come at this fiction writing thing the same way: plotting, then discovering the deeper layers of character and motivation as we turn that plot into prose, always willing to alter course a bit as we go. Just because we plot ahead doesn’t mean there aren’t a ton of of surprising discoveries along the way. Can’t wait to read your books one day, writing sister.